National Health Mission, Assam has recently released NRHM recruitment 2018 Notification for the recruitment of eligible candidates for 117 Physiotherapist Vacancies on its Official website nhm.assam.gov.in. NRHM Assam Recruitment 2018 Online applications are invited from the candidates willing to work with this organization for the engagement on the contractual basis in the following posts in different programmes under NHM, Assam. Candidates having the requisite qualification & experience for NHM Assam District Coordinator Vacancy 2018 are eligible for shortlisting. So, each and every candidate who wants to settle in Assam can apply on or before 05/11/2018. The NHM Assam Physiotherapist Recruitment 2018 Online Application will be available active from 22.10.2018 and the last date to submit the Application Form is 05.11.2018. Get the full info regarding NRHM Assam Physiotherapist Notification 2018 like Age Limit, Educational Qualification, Selection Process, Salary Offered, etc. For District Coordinator (CEA) Posts: The education qualification is Passed MBBS or BDS/ BAMS/ BUMS/ Siddha/ BHMS from Govt. recognized college/ institution. Experience of working in the National Health Programme for at least 3 years. For Physiotherapist Posts: Candidates can pass Bachelor’s Degree in Physiotherapy / Diploma in Physiotherapy from Govt. recognized institutions. For UR/ OBC-A/ OBC-B: Rs.1000/-. For SC/ST/PH candidates: RS. 250/-. NRHM Assam Recruitment 2018 Notification was published by National Rural Health Mission, Assam on its official portal i.e, nhm.assam.gov.in. See the NRHM Assam MO Recruitment 2018 Notification details thoroughly. Through NHM Medical officer notification 2018, eligible applicants will be hired for 324 Medical Officer (MO) Posts, Assistant Engineer ( Civil ) & Other Vacancy in Medical and Health Recruitment Board (MRHB), Assam. Then, start applying for NHM Assam Medical Officer Recruitment 2018 on or before 20th Sept 2018. Gather the full info of NRHM Assam MO MBBS Recruitment 2018 Notification like Age Limit, Qualification, No. of Vacancies, Selection Process, Salary, How to Apply, etc. For Training consultant, MO (MBBS), Asha Programme Manager, State Programme Coordinator, NCD Posts: Max Age is 62 Years. For All Remaining Posts: Maximum age is 43 years. For Medical Officer (MBBS) Posts: Possess MBBS Degree from a recognized Medical College and Registered with Assam Medical Council/ Medical Council of India. For Training Consultant Posts: Rs. 50,000/-. For Medical Officer ( MBBS ) Posts: Rs. 40,000/-. Urban Health Coordinator Posts: Rs. 24,000/-. For Zonal Engineer ( Electrical ) Posts: Rs. 27,500/-. For ASHA Programme Manager Posts: Rs. 40,000/-. State Programme Coordinator, NCD Posts: Rs. 40,000/-. For Assistant Engineer ( Civil ) Posts: Rs. 27,500/-. For Clinical Psychologist Posts: 25,000/-. NRHM Assam Recruitment Notification 2018 is out with an Advertisement No. NHM-31013(11)/9/2018-HRD-NHM/6899 dated 22nd June 2018. Therefore, willing job seekers can go through the detailed information and try to grab this chance of 182 Job Vacancies. In addition to that, NHM Assam Recruitment 2018 has Medical Officer (MBBS) Posts. Hence, National Health Mission Recruitment 2018 Apply Online @ nhm.assam.gov.in Furthermore, the starting date to apply for NHM Assam Jobs is from 22nd June 2018. However, the last date to apply for NHM Assam Medical Officer Recruitment 2018 is on 30th June 2018. Name of the Recruitment Organisation National Health Mission (NHM), Assam. Name of the Designation Medical Officer (MBBS) Posts. Number of Vacancies 182 Job Vacancies. Release Date of Advertisement 22nd June 2018. Initial Date to fill Online Application Form 22nd June 2018. Last Date to Apply Online 30th June 2018. Dear Candidates, National Health Mission (NHM) welcomes online job applications for 182 Medical Officer (MBBS) Vacancies. Therefore, interested candidates can apply for NHM Assam Medical Officer Recruitment 2018 before 30th June 2018. Contenders should have completed MBBS Degree from an approved Medical College which must be registered with Assam Medical Council or Medical Council of India. Maximum Age Requirement – 62 Years. Selection Test or Interview Process. How to Apply for NHM Assam Medical Officer Recruitment 2018? A New job notification was publicized from National Health Mission (NHM), Assam. Hence, Interested aspirants can check out the detailed information regarding NRHM Assam Recruitment 2018. Furthermore, National Rural Health Mission (NRHM), Assam has planned to arrange a Walk in Interview and fill 118 unfilled vacancies. In addition to this, there are NRHM Jobs for the various posts of HR Executive, District Programme Officer & Other Vacancy. Therefore, willing and eligible contenders can attend the Walk in Interview from 14th May 2018 to 16th May 2018 at the mentioned timings. Name of the Organization or Authority National Health Mission (NHM), Assam. Posts Name HR Executive, District Programme Officer & Other. Number of Vacancies 118 Jobs. Job Category Assam Government Jobs. NHM Assam Advertisement Release Date 8th May 2018. Walk-in Interview Date 14th May 2018 to 16th May 2018. Dear Candidates, you are requested to go through the details below related to NRHM Assam Recruitment 2018 and apply for HR Executive, District Programme Officer & Other Posts @ nhm.assam.gov.in. Walk-in Interview from 14th May 2018 to 16th May 2018. 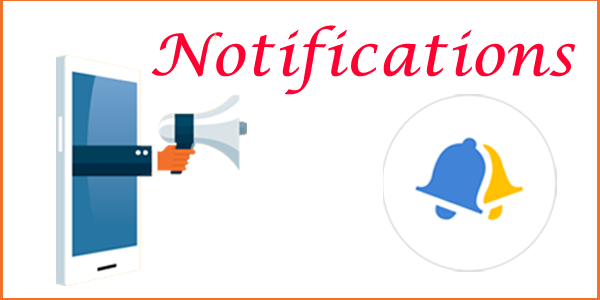 Latest Notification from Office of the Mission Director – National Health Mission (NHM), Assam. NRHM Assam Recruitment 2018 has 508 Jobs for Staff Nurse, Audiometric Assistant, Clinical Instructor, and Other Posts. In addition to this, Interested candidates can fill an online application form for NHM Assam Vacancy 2018 from 26th April 2018. However, NHM Recruitment 2018 Online Application Forms will be available @ nhm.assam.gov.in. Furthermore, NRHM Assam Job 2018 Apply Online on or before 15th May 2018. 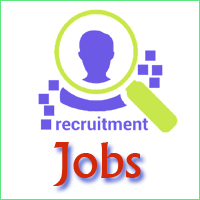 Name of the Recruitment Organization Office of the Mission Director – National Health Mission (NHM), Assam. Posts Name Staff Nurse, Audiometric Assistant, Clinical Instructor, and Other Posts. Number of Vacancies 508 Jobs. Starting Date of Online Application 26th April 2018. Last Date to fill Online Application 15th May 2018. Firstly, candidates are requested to know each and every point about any recruitment process and apply for the job vacancy. Hence, Interested candidates can know detailed information about NHM Assam Jobs explained in the below sections. Candidates must have completed Sc Nursing or GNM Course from any institution that is recognized by Indian Nursing Council and also should be registered with Assam Nurses Midwives & Health Visitors Council. Candidates can check other post educational qualification details in NHM Assam Notification 2018 which is attached below. Maximum Age Requirement – 43 Years. Job Seekers are suggested to go through NRHM Assam Recruitment 2018 Notification pdf for details about category wise application fees. In addition to this, candidates must pay the desired fees through online mode. Aspirants, go to the NHM Assam official website – nhm.assam.gov.in. Hence, open NHM Assam Notification 2018 and check your eligibility. Therefore, open NRHM Assam Vacancy Online Application Form and enter all the details. Furthermore, upload all your documents and photo and also make a payment of application fees. At Last, click on Submit option and take a print out. Name of the Organization National Rural Health Mission (NRHM), Assam. Posts Name M&HO (Health & Family Welfare Department). Number of Vacancies 462 Jobs. Starting Date of Application 2nd February 2018. Closing Date of Application 19th February 2018 (Extended to 5th March 2018). Dear Government Job Aspirants!!! National Health Mission, Assam released a Recruitment Notification through Advertisement No. of 02/2018. However, there is a colossal number of vacancies in NRHM Health & Family Welfare Department. In addition, NRHM Assam Recruitment has total 462 M&HO Posts. Though the last date of application was 19th February 2018, it has extended up to 5th March 2018. In conclusion, Assam Job Aspirants can apply through offline mode for NHM M&PO Jobs before the last date. Interested candidates can check their eligibility from the details mentioned below or from NRHM Official Notification. Therefore, NHM Jobs Eligible Candidates fill the application form and start preparing for the Examination. Furthermore, NHRM Selection Procedure depends on your Qualification and Interview Performance. However, Government of Assam offers a high Pay Scale and Allowances based on Assam Government Rules. Hence, this is an excellent opportunity for aspirants looking for Assam Government Jobs. NRHM Recruitment Assam 2018 has 462 M&HO vacancies in Health & Family Welfare Department. However, there are a certain number of reserved seats for women and person with Disability. As a result, check category wise NHM M&HO Vacancies available which are provided in the table below. RFW: – Reserved for Women. Finally, for more detailed information, visit NHM Official Website or Notification. Aspirants who have aimed for NRHM Assam Recruitment 2018 should fit into the Eligibility Criteria. In conclusion, Candidates who want to apply for NHM M&HO Posts need to have Minimum Age and Educational Qualifications. Hence, check your Eligibility Criteria with the rules mentioned below and apply for NHM Recruitment 2018. To possess a position in Government Sector or any Job, you need to have minimum Education knowledge or requirement. In addition, the requirement of basic educational qualifications differs from various jobs. However, candidates can check out below for the details of Educational requirements for Assam M&HO Jobs. Candidates or Aspirants should complete their M.B.B.S. Degree from recognized Institute or University and registered under Assam Medical Council. To be eligible for Assam Government Jobs, you need to fit under the minimum and maximum age requirements put forward by NHM Recruitment 2018 AssBoard. Hence, check out the standard Age Limits set by the NRHM Board for the recruitment purpose. You can refer to the official website for category wise Age relaxation. It’s very important for an aspirant to know the detailed information before applying for a post. Almost, till now I have provided the basic information about NRHM Assam Recruitment 2018. Now, its time for you to know some more information about National Health Mission Recruitment 2018. NHM Assam Recruitment selection process is based on two-step verification. Therefore, candidates filling the application form with the correct details and as per the rules will be called for an interview. NRHM Selection Process – Viva-voce Interview decided by the Board. The Government of Assam offers an excellent package for NRHM M&HO Posts. In addition, it also provides monthly allowances based on Rules of the Government. Additional GP: Rs. 12,000 /- Per Month. Selected candidates will get monthly allowances with respect to the rules put forth by the Government. When you apply for any job or exam, Government charges you a certain amount of fees. Furthermore, application fees depend on the category you belong to. Finally, Eligible candidates can check application fees mentioned below based on your category. General / Open Category: Rs. 250 /-. SC / ST / OBC / MOBC Category: Rs. 150 /-. Aspirants with BPL Certificate: Nil. How To Apply for NRHM Assam Jobs? NRHM Recruitment 2018 Assam interested candidates should apply for M&HO vacancies through Offline Mode of Application. Since applying for this National Rural Health Mission Recruitment is a difficult process, go to the below explanation for easy filling of an application form. Write the post name you are applying for in Bold Letters in the envelope containing an application. Attach your recent photograph on the space provided in an application form. Fill all the details correctly as per the rules prescribed in an offline application. Attach all the photocopies of mark sheets and certificates with self-attested. Recruitment board will not be responsible for any loss of documents or your photograph. An application must be received before the last date to the desired address provided on the official notification. Your application will only be accepted if you fill the form following all the rules. You need to affix postal stamp of Rs. 5 on an envelope. Notification Published Date 2nd February 2018. Last Date of Application 19th February 2018. Extended Date of Application 5th March 2018. Aspirants, we assume that all the information mentioned above provided you a clear knowledge about NHM Jobs. Furthermore, in case of any queries or more information you can refer to the official notification pdf. However, you can download NRHM Notification 2018-19 PDF from the link given below or from an official website. I believe, this article helped you and cleared all your queries about Assam NRHM Recruitment 2018. For suppose, any question about the recruitment arises you can refer to the NRHM Official Notification or Website. However, for Latest Government Jobs, you can refer to Sarkari Naukri.